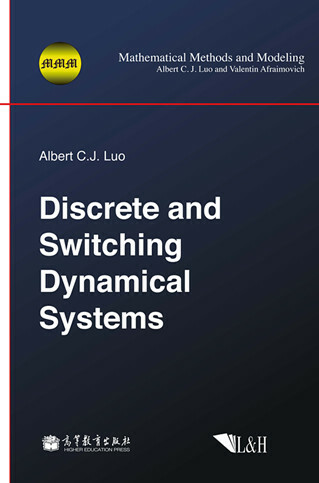 Discrete and Switching Dynamical Systems is a unique book about stability and its switching complexity in discrete dynamical systems, and provides a simple and concise view of the theory of stability and bifurcation in nonlinear discrete dynamical systems. Linear discrete systems with repeated eigenvalues are presented as an introduction. Higher-order singularity, stability and bifurcations in nonlinear discrete dynamical systems are presented. Several examples are presented to illustrate chaos fractality and complete dynamics of nonlinear discrete dynamical systems. Switching systems with transports are discussed comprehensively as a general fashion to present continuous and discrete mixed systems, and mapping dynamics, grazing phenomena and strange attractor fragmentation are also presented for a better understanding of regularity and complexity in discrete, switching and discontinuous dynamical systems. This book is written as a textbook or reference book for university students, professors and researchers in applied mathematics, physics, engineering, economics dynamics and finance. Albert C.J. Luo is an internationally recognized professor in nonlinear dynamics and mechanics. He worked at Southern Illinois University Edwardsville, USA. His principal research interests lie in the fields of Hamiltonian chaos, nonlinear mechanics, and discontinuous dynamical systems.